Are you in for a cute and interesting diy tutorial that involves a little attention and some crafty hands? 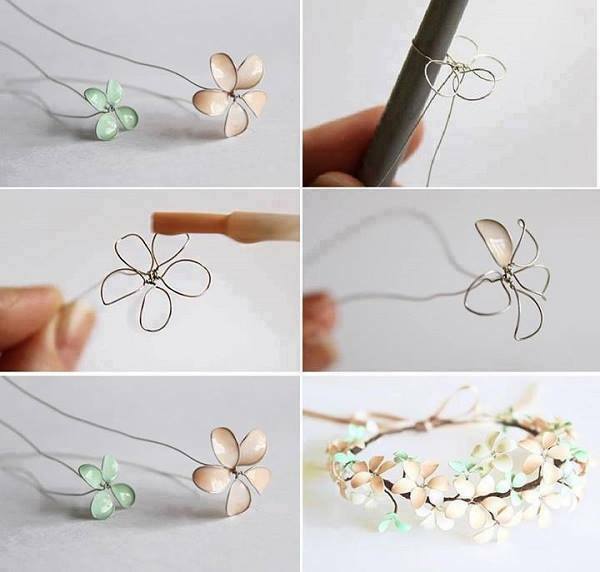 Then you can make this cute wire and nail polish flowers and the ways you can use them are really various, you can make bracelets out of them, necklaces, rings, almost any type of jewelry and you can also use them as decorations, in flower pots, on the curtains and so on. Making your own jewelry is fun and you can be sure the things you are wearing are unique. They are great to be offered as gifts too. – one brush with a thick holder (the thickness will give the size of the petals) or a pen. 1. Cut out a 15 cm long wire then leave a bit at the end, around 1 cm, and then taking your brush or pen wrap around once, after that you have to twist and you have just made the first petal. To make the rest, continue wrapping and twisting until you have reached 5 petals. 2. You can leave your petals flat or you can twist them a little bit for a 3D effect. 3. 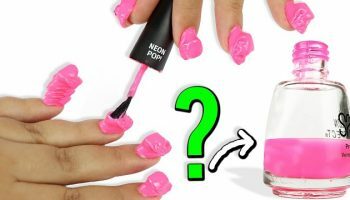 Take the nail polish and now fill in the petals by placing the brush under the wire and moving it from the center to outside, this should fill the loop. Try several times until you filled it, it might not work from the first attempt. 4. 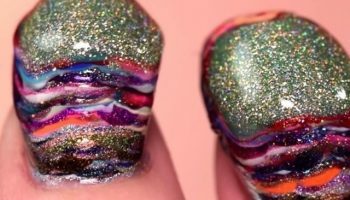 After your first coat is done, you kind of can go over one more time and the polish will be thicker and stronger. 5. 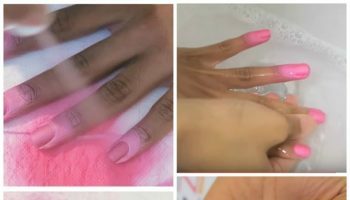 Apply the dry nail polish spray then put the flower aside to dry very well. 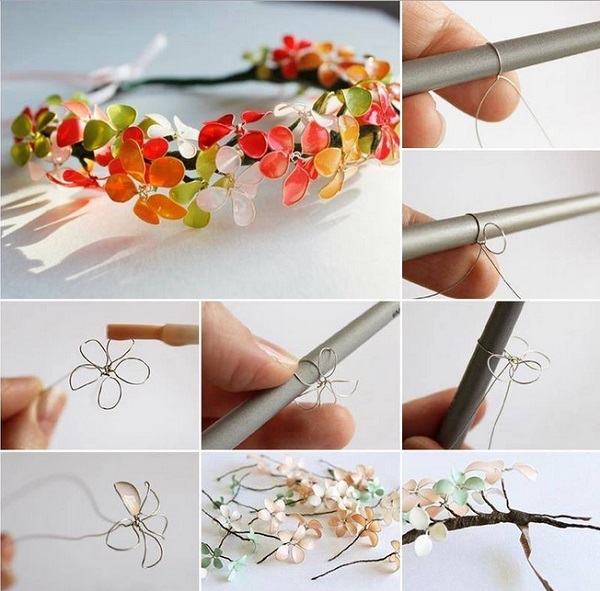 This is all, you can start making as many flowers you want!